Hello, everyone! 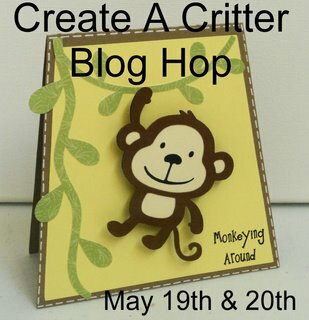 Today is Day TWO of the Create A Critter Blog Hop! You should have arrived here from CallyAnn's blog. If you're just joining the hop and want to start at the beginning, please hop on over to Ashley's blog. 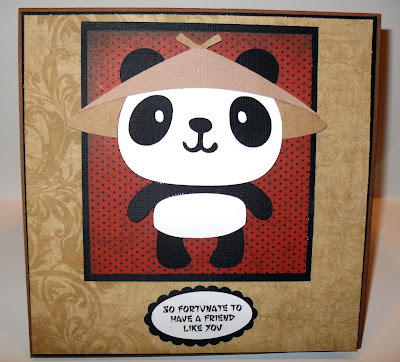 This is a two-day hop featuring projects using the Cricut Create A Critter cartridge. If you missed Day One's posts, be sure to check them out. There are prizes to be won, and you can get all of that info on Ashley's blog. Thanks so much for stopping by! Don't forget to check out Ashley's blog for all the blog candy info. Now, please hop on over to Sheila's blog to check out her fun CAC creation. Thanks for hopping with us this weekend! Cute card! Love the panda! The panda is so cute. I love the card. I love your card! I need to make some for my friends! My daughter loves pandas your card is so cute! What a beautiful card! The papers and layering is pefect!Love the sentiment dead on with te front on this one. So cute! Love this cart! Oh gosh Dena I love this card. Too cute and the sentiment goes perfectly. Thank you so much for being a part of the hop. I was hoping someone would use the panda! LOVE him and that sentiment too!